As the colder weather continues, our skin can be dry and dull. The bitter January wind can be harsh and leave skin feeling chapped and tired looking. 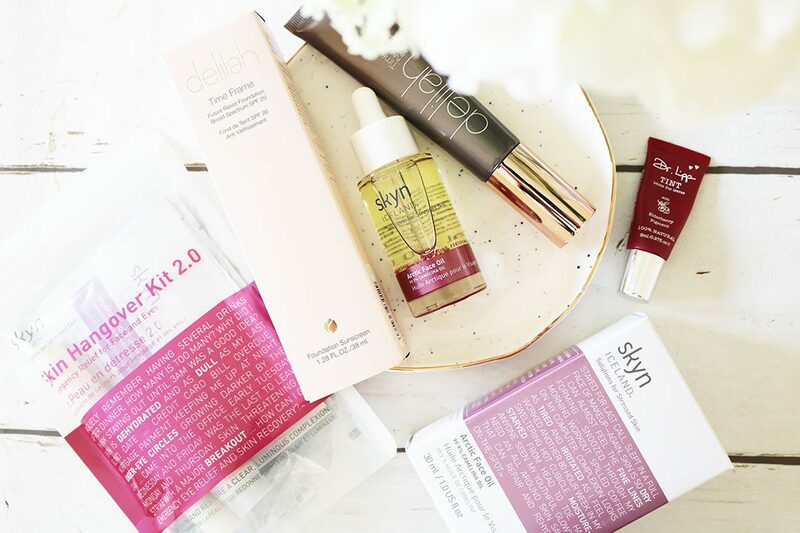 Whilst I don’t think anything will ever completely take away these dark circles underneath my eyes lately (they’re seriously impressive) there have been a few key skincare and beauty items that keep me looking and feeling slightly more human! 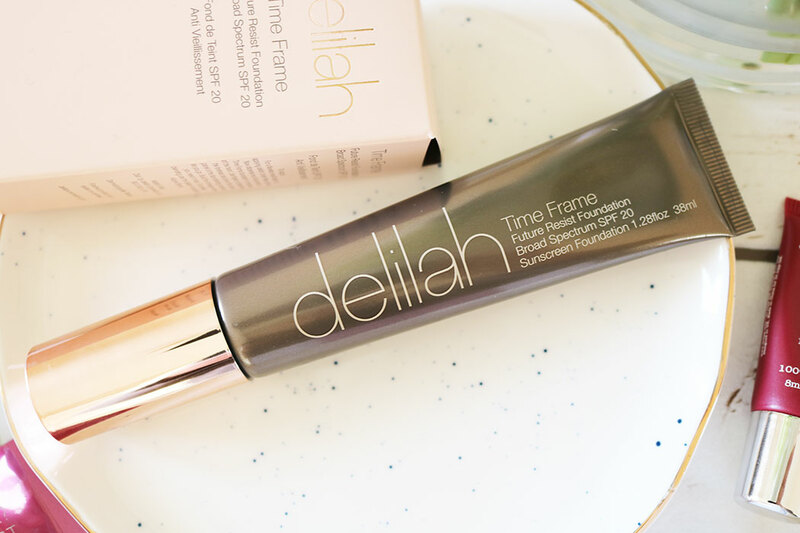 Time Frame from Delilah is a fluid foundation that blends perfectly with the skin, leaving an effortlessly flawless finish. The light, buildable coverage has a subtle luminosity and a velvety texture. 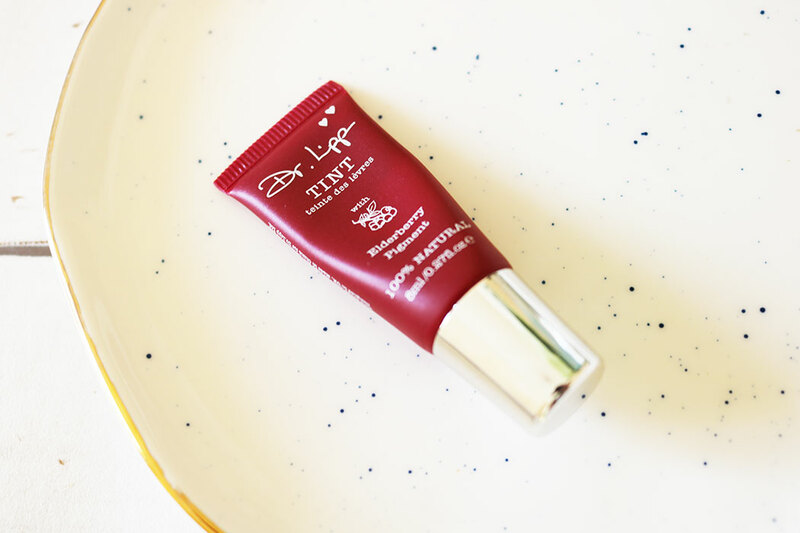 I have absolutely loved using this recently as it is lightweight, blendable and flattering. If you are looking for something with medium coverage that won’t clog up your skin then this is a must have! Priced at £34 it comes in a travel friendly tube and has SPF 20 to ensure that your skin stays protected, even in the winter weather. 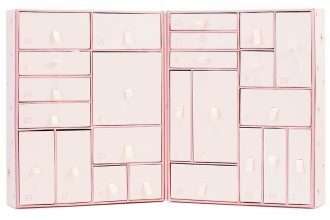 The festive party season can take a real toll on your complexion, but skyn ICELAND have launched the Skin Hangover Kit 2.0 (Priced at £20.00 from Cult Beauty) to remedy the effect of too many cocktails and too little sleep. Let me tell you…. this is definitely what I need right now! This essential kit for party-goers contains a refreshing mini ANTIDOTE Cooling Daily Lotion, revitalising Icelandic Relief Eye Pen and Hydro Cool Firming Eye and Face Gels to soothe tired eyes and diminish the appearance of wrinkles. The perfect set to keep on hand for those skin ’emergencies’ when you really need to pamper yourself! Another product from this brand that I’ve recently tried and loved is the Arctic Face Oil. An exquisite dry oil, skyn ICELAND’s Arctic Face Oil is 99.9% pure Arctic camelina oil – brimming with 9 omegas (skin-essential fatty acids) which play a crucial role in optimising skin function – encouraging regeneration, calming inflammation and enhancing elasticity. Great to use in the evenings before bed, this calms the skin and leaves it feeling hydrated. You can even pop a bit onto the ends of your hair and massage into your cuticles. So versatile! Next articleTreat Your Skin To Veganuary 2019!